Lentils are a star player in our house. We have been making a lot more vegetarian and vegan dishes and my husband doesn’t really like beans. 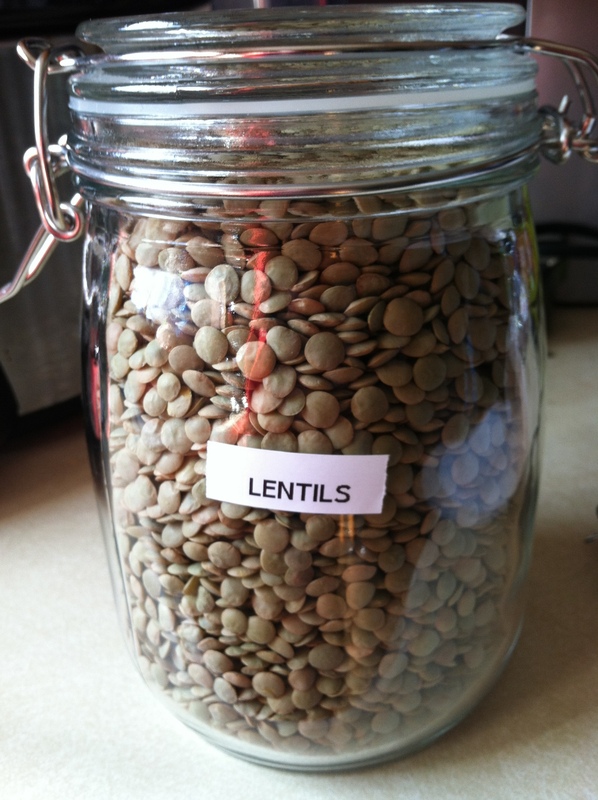 Lentils are a superfood, with somewhere around 16g of fiber and protein in one cup! Today I will give a quick run down of how I buy, sort and store lentils. 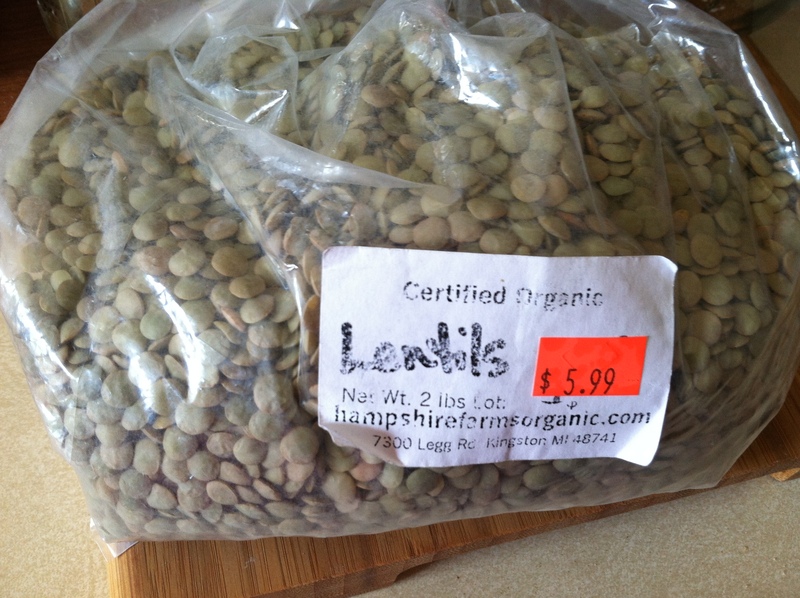 Lentils can be pricey depending on where you buy them. In keeping with our desire to buy locally sourced goods, I purchase them in bulk bags from Garry at Natural Local Foods Express/Pure Pastures. 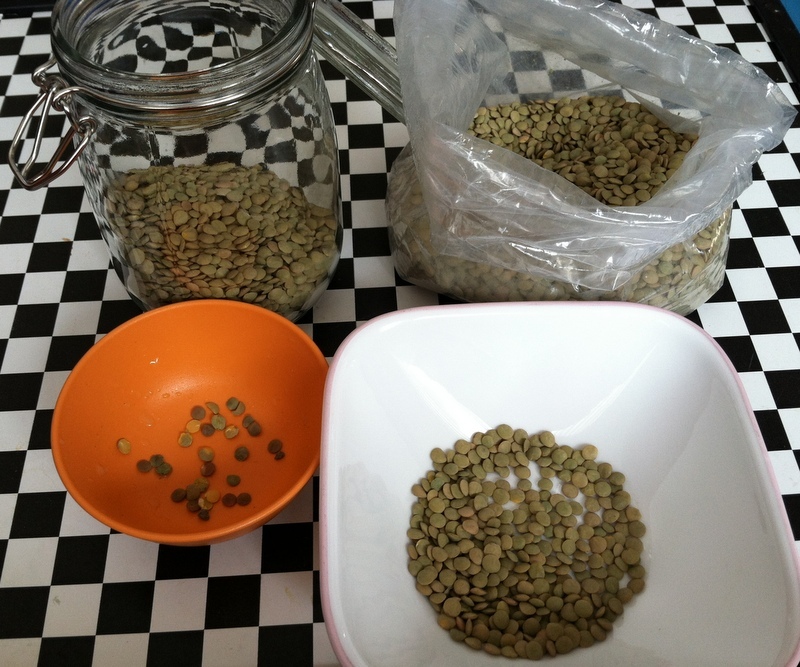 Lentils, like any other dried bean/legume should be sorted before cooking. This is because there can be rocks and other debris that are picked up when they are harvested. To save time, I like to sort mine before putting them up for storage. Just scan through small amounts at a time and pick out anything that looks odd. I then store my lentils in an airtight glass container that I picked up at Ikea. I also follow the exact same protocol for split peas and any other dried bean. Keep them in a cool, dark place and they will be good for upwards of a year. Cooking lentils is easy. Be sure to give them a quick rinse and boil three cups of water for every one cup of dry lentils. After the water boils, add the lentils and bring back to a boil. Turn down to simmer and cover for approximately 30 minutes. Oh that looks lovely! I will have to make some. Thank you so much!